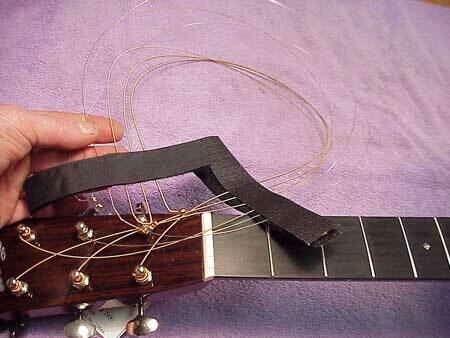 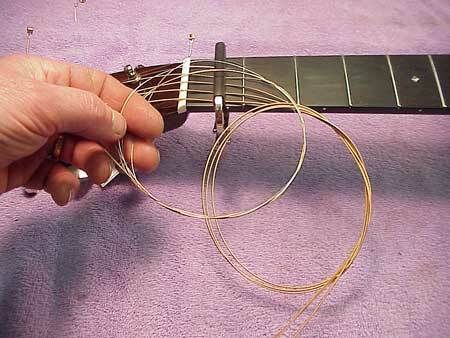 This method works fine, but the strings do tend to get a bit tangled as I uncoil them. 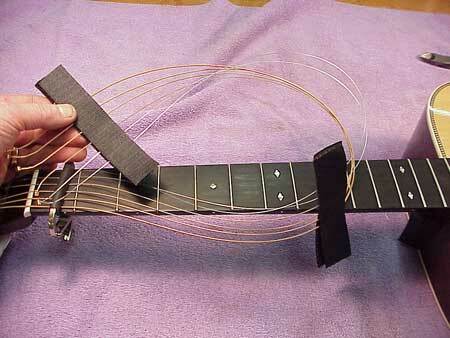 Last month, Canadian luthier, Rod Hannah, was visiting the shop, and he gave me this cool tip. 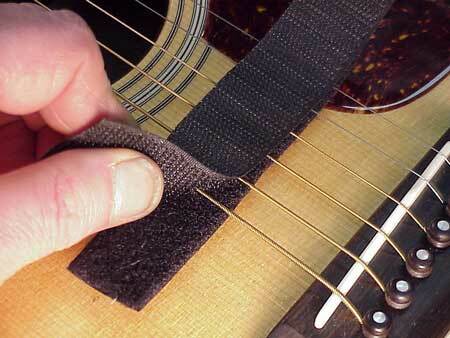 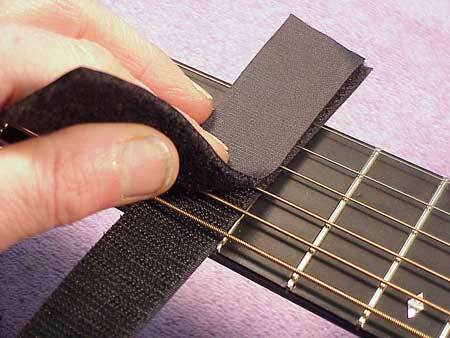 Use strips of velcro to retain the strings. 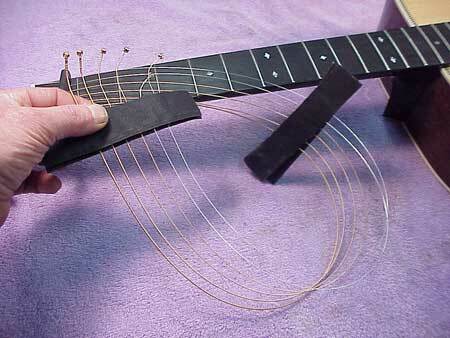 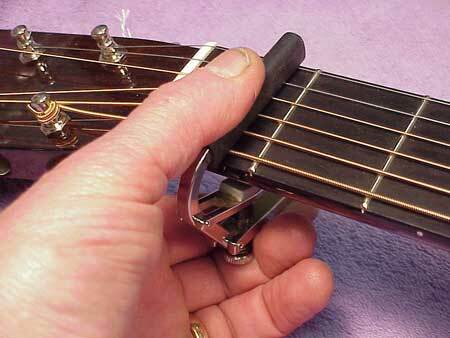 Here, you have to be careful, but if you're leveling frets, or cleaning up the fingerboard, you don't have to move the guitar around much, and the strings won't come loose.